We take a three-pronged approach to sustainability by addressing Mitigation, Adaptation, and Education. 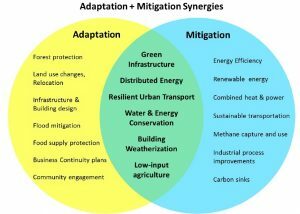 We are especially eager to find “green resilience” strategies that address both adaptation and mitigation strategies. 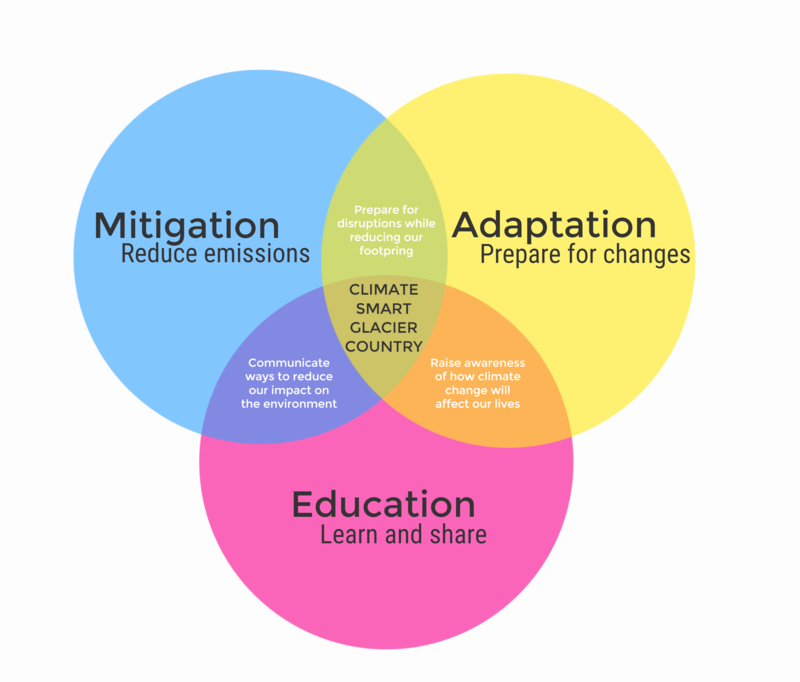 This diagram from the Center for Clean Air Policy illustrates the productive overlap, which CCAP calls Green Resilience.